He is just really good. He is very thorough. He goes out of his way to check on patients. He calls his patients to check on them. He's amazing. The office just really cares about their patients. They really try to give people the best possible options. They are also very cost-effective. They are very helpful for low-income families. They really care. My husband has been a patient of theirs and now I go there too. They are very helpful, friendly and professional. It's been a positive experience for both of us. I like that they greet you and get you in at the scheduled time for my appointment. I am not kept waiting. 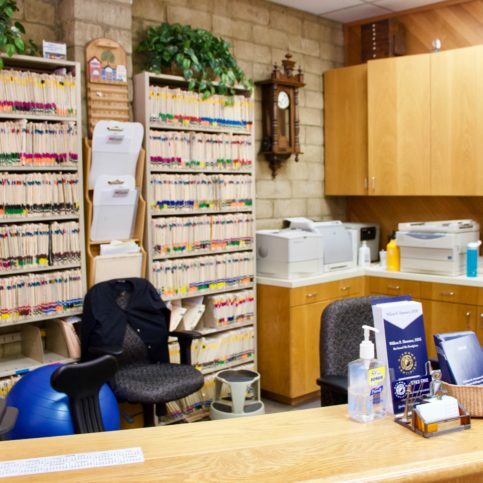 They are organized, efficient, and their appointments run on time. I have been to Dr. Hummer over the last several years and the experience has been wonderful. They are very professional and helpful. I liked that they are so caring and knowledgeable. Dr. Shawn Gallegos (L) and Dr. William Hummer are dedicated to creating a caring environment for patients. 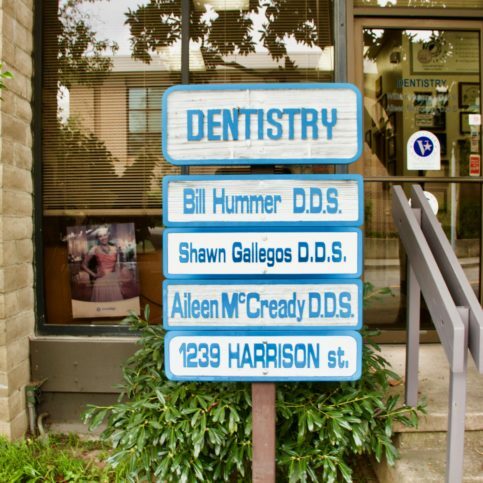 William R. Hummer, DDS is a general dentist practicing in San Leandro who offers a wide range of procedures to patients of all ages. 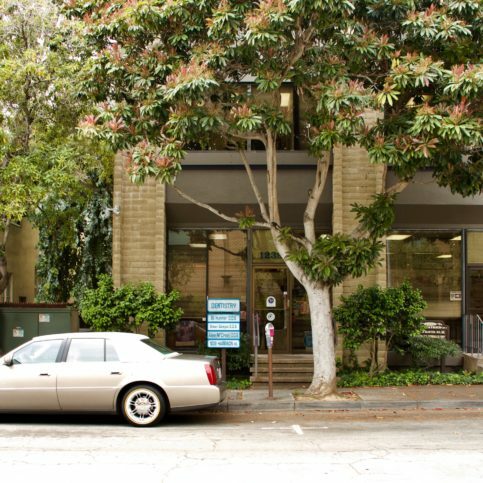 The practice recently expanded its office to include seven operatories, and its preventive care plans include cleanings; preventive restorations; and reconstructive, esthetic, cosmetic, and minimally invasive dentistry. 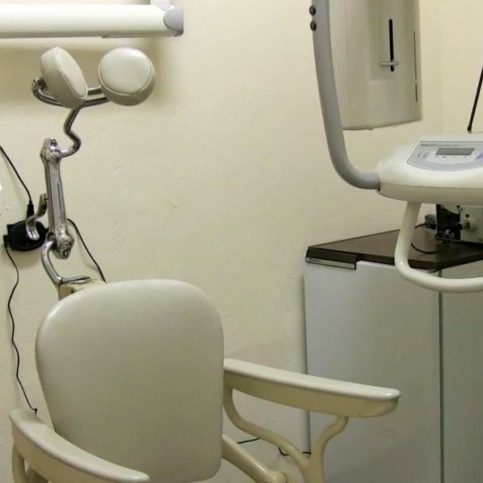 Dr. Hummer believes gentleness is the cornerstone of comfortable dental treatment, and he uses state-of-the-art equipment and sterilization procedures to facilitate this approach. Dr. Hummer’s practice also offers cutting-edge cosmetic dentistry technology such as microabrasion (drill-free dentistry), porcelain veneers, Invisalign®, emergency treatment, implants, customized mouth guards, digital x-rays, and examinations. Restorative options include composite, amalgam, and glass ionomer fillings and sealants; crowns include e-max, zirconia, gold, porcelain and porcelain fused to metal; and dentures include full upper/lower stay plates, partials, and mini implant-supported dentures. Areas Served: Serving all of Alameda County including Hayward, Berkeley, Fremont, Oakland, San Leandro, Piedmont, Newark, Albany, Alameda, Dublin and Union City. 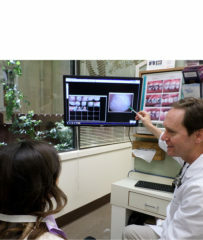 Dr. Hummer goes over a set of dental photos with a patient. Because dental problems typically develop slowly over months or even years, Dr. Hummer will often stagger his patients’ dental work over time. Someone who needs six fillings, for example, could have the work spread over two years without additional harm, he says. 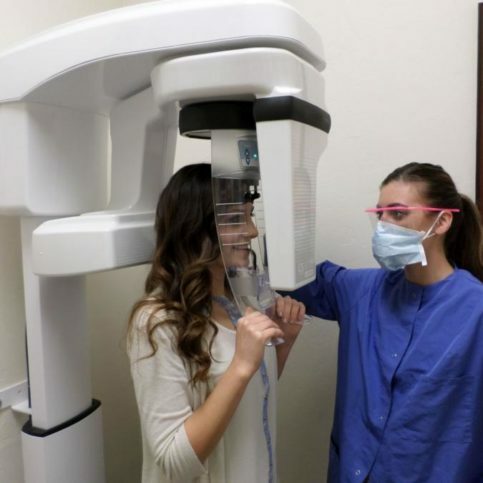 Dr. Hummer uses a technology called digital radiography that uses no radiation and visualizes interior teeth more quickly and accurately than x-rays. His practice also uses a plasma arc laser that cures fillings in three seconds instead of the standard 30, minimizing patients’ discomfort. 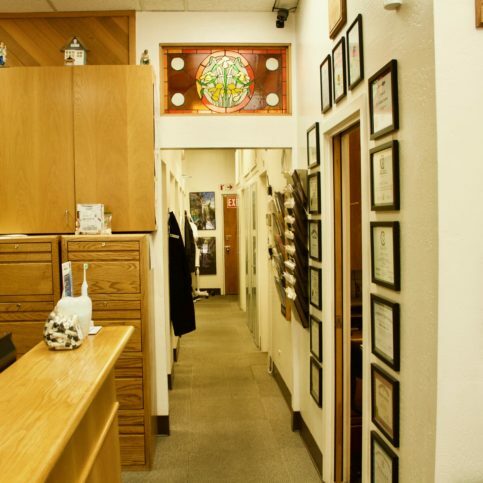 Because dental work often creates dust around an office and leaves an unpleasant smell, Dr. Hummer’s practice features a highly-efficient filtration system that cleanses the air of dust and odor. Special magnification and lighting help keep harsh dental lights out of patients’ eyes, and each room has its own individual stereo system. The office’s waiting room is equipped with iPad Internet service, Wi-Fi, laptop computers and a television. 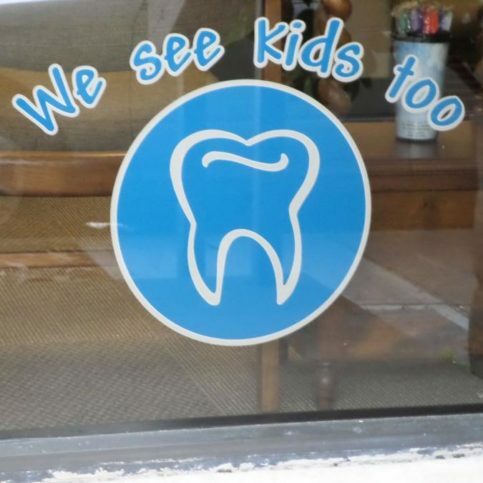 Don’t worry about being harmed by dental X-rays. They pose very little risk, especially when patients are protected with lead aprons. Besides, today’s high-speed films minimize the amount of exposure. Schedule regular dental visits for your children. It’s best to start with the appearance of their first tooth. Add a regular program of brushing, flossing and healthy eating, and your child will benefit from a lifetime of good dental habits. The best tooth whitening technique is a dentist-prescribed system. These systems change the color of teeth with minimal (if any) side effects. Veneers are appropriate for more difficult cases. There are many other options; ask your dentist about them. Electric toothbrushes are best. There are numerous models on the market that work well. Ask your dentist to recommend one. Similarly, virtually any brand of toothpaste is fine, providing it contains fluoride and controls tartar. Using a proper brushing technique is far more important than using a certain brand of toothpaste. Q: What are my cosmetic dentistry options? A: There are porcelain veneers, Lumineers, bleaching, bonding, jewelry contouring, orthodontics, retainers and cosmetic fillings. Q: Do I have to be numb for my procedure? Q: Will my insurance cover my procedure? A: It depends on your policy. We can determine that for you. Q: At what age are orthodontics appropriate? A: The earliest that orthodontic treatments can be applied is age seven. Obviously, you can get them later—our oldest orthodontics patient was 78. There’s no reason orthodontics can’t be done on an adult. Q: Do you have to cut my teeth down to replace a missing tooth? A: No. We can do implants, orthodontic movement, a bridge or an implant-supported partial denture. Q: Do I have to use floss to clean my teeth? A: Though there are different tools to clean between teeth, floss is usually the best. Whatever you use, cleaning between your teeth is vital—even more important than going to the dentist. 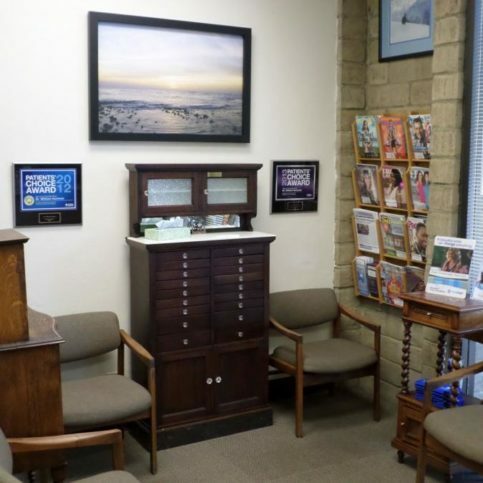 Dr. Hummer’s practice treats patients of all ages. Dr. Hummer and his assistant, Vanessa, treat a patient. 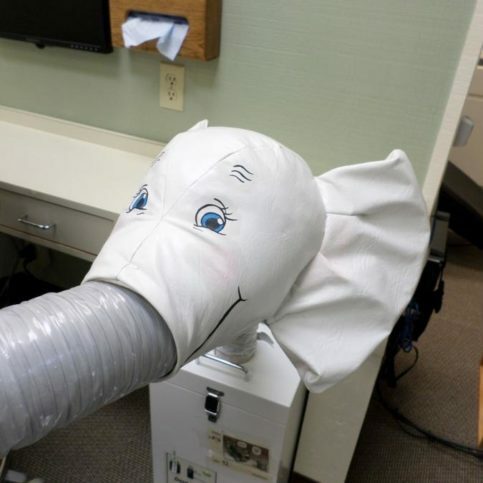 This vacuum system collects airborne dust and features a kid-friendly elephant attachment. One of Dr. Hummer’s dental assistants takes a panographic x-ray on a patient. 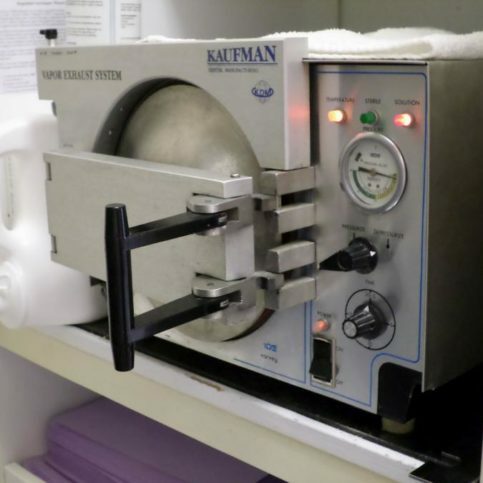 The chemiclave is the last step in the sterilization process. 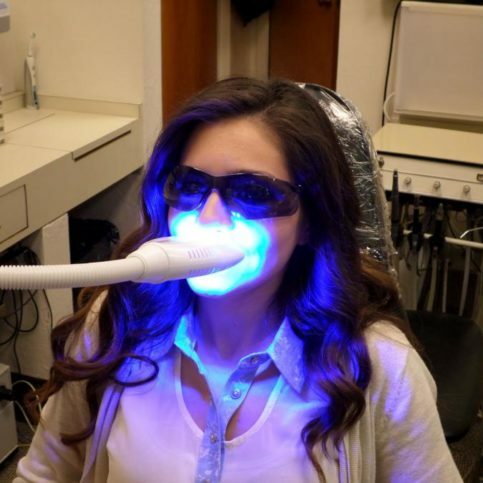 William R. Hummer, DDS uses a five-second light cure. 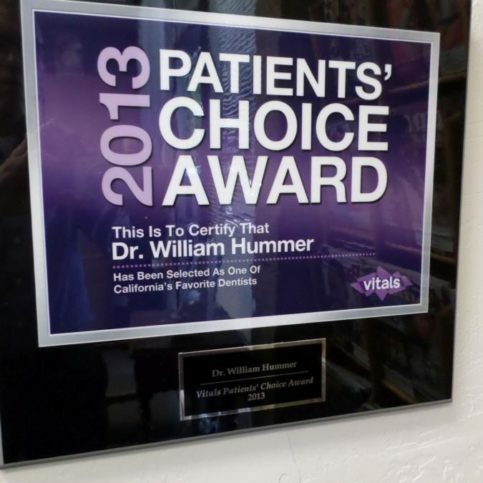 Dr. Hummer was awarded the 2013 Vitals Patients’ Choice Award. 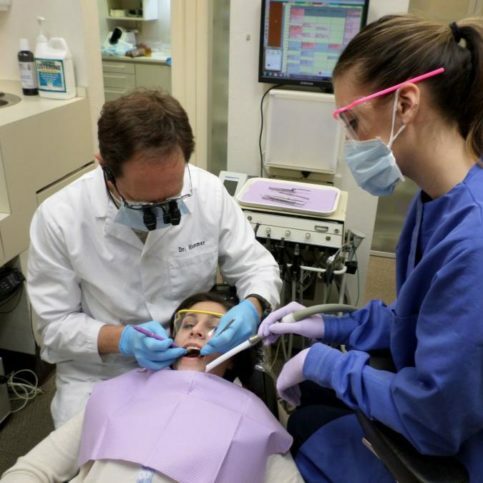 Dr. William Hummer is owner of William R. Hummer, DDS, a Diamond Certified practice since 2002. He can be reached at (510) 351-5711 or by email. When Dr. Hummer isn’t caring for patients’ teeth, he can often be found at his second job as a ski patrolman. “I’ve been skiing my entire life, and I was actually a professional ski instructor at the age of 14,” he recounts. “Nowadays, I work for the ski patrol during the winters. We do everything from rescuing trapped and injured skiers to handling avalanche control. Suffice it to say, between dentistry and ski patrol, my winters are pretty busy!” When Dr. Hummer does get some free time, he enjoys traveling the globe with his wife, Bettina, and catching up with his two grown children, Tori and Bryce. A: Polishing shoes in a barbershop at the age of 13. Q: What’s the most death-defying feat you’ve ever attempted? A: Doing avalanche control with the ski patrol. You’re detonating charges while wearing a concrete suit, and when that wall of snow hits you, it hits surprisingly hard. A: The future. I really believe life is better now than it was 200 years ago, and I think that trend is going to continue as time goes on. 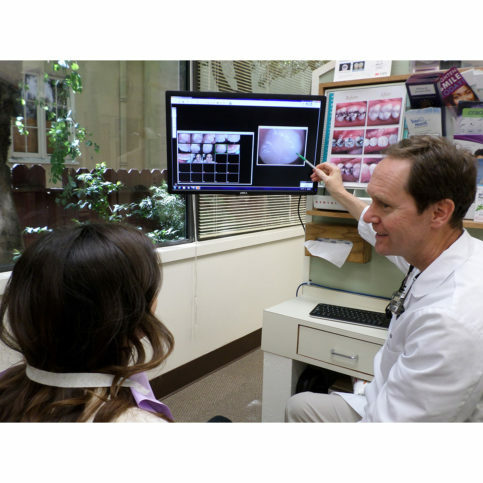 SAN LEANDRO — Treating cancer is one of the great challenges of modern health care, and dentistry is no exception. 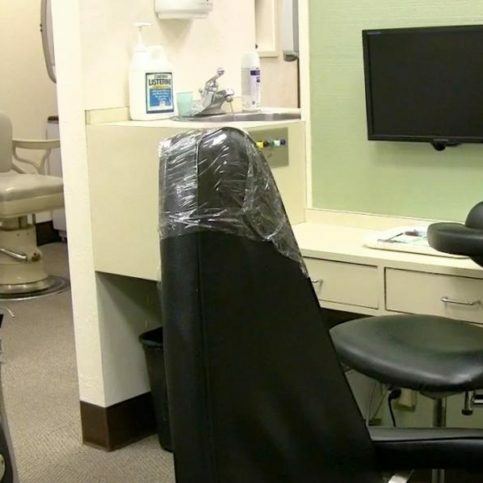 According to the Oral Cancer Foundation, nearly 50,000 people in the United States are diagnosed with oral cancer each year, and only slightly more than half typically survive. In fact, oral cancer has a higher mortality rate than many more well-known forms of cancer. If you notice one or more of these developments, schedule an appointment with your dentist or physician to have it checked out. SAN LEANDRO — Host, Sarah Rutan: Oral cancer claims thousands of lives every year. Today we’re in San Leandro with Diamond Certified Expert Contributor Dr. William Hummer of William R. Hummer, DDS to learn about a crucial preventative factor. Diamond Certified Expert Contributor, Dr. William Hummer: In today’s health care environment, it’s more important than ever to be, or have, a good advocate. Someone who watches out for you, and no one can do it as well as you can do it for yourself. Cancer is one of the great challenges of our health care. And early detection is the single most important factor in a successful outcome in the treatment of cancer. You are the single most important factor in finding that early detection. When you’re looking at oral cancer, you like to watch for a lump, a bump, a change in texture, contour, form, color. Something that just doesn’t look normal to you. Something that is not the way your mouth was. It’s changed, but it’s been there at least 12 days. Something that’s there for no reason. There isn’t a sharp corner or any trauma that caused it. Something that might bleed spontaneously, or grow rapidly. Something that’s not the same on the left or right side of your mouth. Something that is never shrinking in size. If you see something like that, ask your dentist or physician, “What is that?” and have them look into for you. I wish you the best. 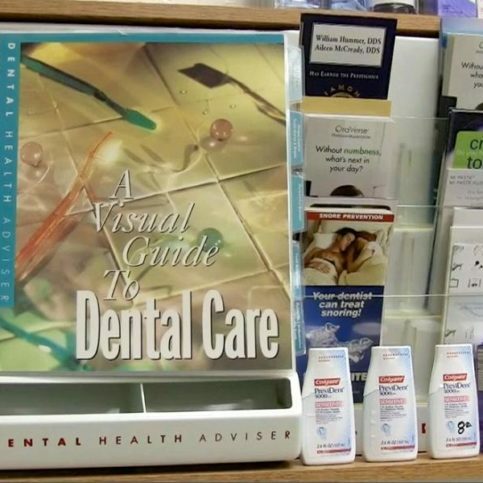 William R. Hummer, DDS : Average 9.4 out of 10 based on 310 unique customer surveys of customer satisfaction. Dr. Hummer and his group are very efficient and very good people. We like everything, and I talk to brother about him all of the time. He is very patient and thorough. That I have been seeing him for 25 or 30 years, and he has been good. He seems to be honest, and I like his personality. I would tell them that he speaks to you in terms you can understand, and he makes it clear as to why you need the proceedure. He is the greatest and nothing hurts, nothing at all. He is the best. A friend of mine told me about him. He listens, which is the main thing. He is a very, very honorable man. He does good work, and he is very, very gentle. He is a very good dentist, and he is an honorable man. I think Dr. Hummer is an extremely capable and honest dentist. I just think he does a good job. He is a good dentist. I have never felt like he was pushing me into something that I didn't need to do or sell me something that I didn't need. Very, very conscientious, well-educated, up-to-date on current techniques, and I think he is interested in the whole person. You develop a semi-personal relationship with him. He is someone you feel you can talk to. He is an active listener. He is the whole package, great dentist and a great man. I would say he is very patient, gentle, and very sincere in what he does. I actually had a fear of the dentist, so when I say he is patient, I really, really mean that. He was very soothing the entire way. He is the best dentist that I have gone to. He is very thorough. 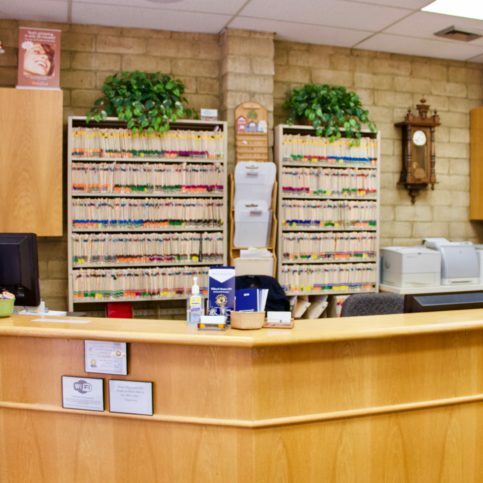 Dr. Hummer and his staff explain things very clearly and make it easy to understand. If there are any questions, he takes the time to answer them, and it doesn't feel like he is rushing you. He has met all of the needs that I have had, as far as dental work. He was very friendly. The staff was also very friendly and helpful. I felt welcome, as I was a new patient when I went to him about 6 months ago. It would be a good place to go. I had a good experience. He is a good dentist. He is very informative, and he is not pushy in his services. As he is working, he really cares about your mouth, teeth, and everything. He always seems to know exactly what is wrong. I have had a lot of different services with him. Our whole family has been going to him for years. He is the best dentist I have ever found, and I am 66. I would give them an "11". He is calm, patient, and he is never agitated. He is very professional. I have referred him to a lot of friends, and all of them have been satisfied. He is a good man. He does good work, and he is very personable.